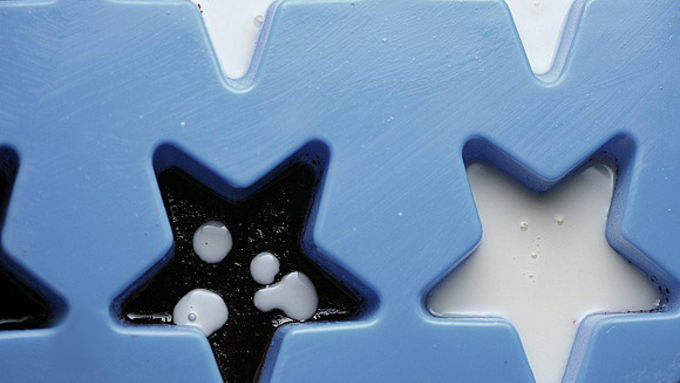 Spray star molds lightly with oil/cooking spray. Wipe off any extra. Bring 1/2 cup of water to a boil. In a small bowl, add the cherry gelatin and 1/2 packet of unflavored gelatin. The extra gelatin will help them hold their shape better. Pour boiling water into the bowl with the jello and stir until dissolved. Then add the 1/4 cup cherry flavored vodka. Using a funnel or eye dropper fill the star mold a little over a 1/3 of the way full. The red and blue colors will be more than the white...just like in a bomb pop. Transfer to fridge and let sit for 25 minutes. Ten minutes before the red layer is done, start the white layer. Add 1/4 cup lime vodka in a medium bowl. Sprinkle 1/4 ounce (one whole packet) unflavored gelatin. Bring heavy cream to a boil and pour into the bloomed unflavored vodka. Whisk until gelatin has dissolved. Remove molds from fridge and fill the white layer, this time less than 1/3 of the way. Put back in fridge for about 15 minutes. In a small bowl, add your blue raspberry gelatin and the remaining 1/2 packet of unflavored gelatin. Boil the other 1/2 cup water and place into bowl. Let gelatin dissolve and then add blue raspberry vodka. Fill up the remainder of the molds with the blue gelatin layer. Put in fridge over night. Unmold by carefully pushing the stars out. Summer is in full swing and that means one thing to me: Bomb Pops. They were my favorite as a kid. They were totally worth running through the neighborhood trying to figure out where the ice cream man was, and then of course chasing him down. It was my pre-treat cardio workout. I figured, to help truly welcome Summer, I would do Bomb Pops my own way…Da Bomb Pop Jelly Shots. Why not? Vodka usually does make things better. Bomb Pop comes in a lot of flavors these days but the original flavors are what I love best: cherry, lime, and blue raspberry. I went all these years not knowing what the middle flavor was until I had to look it up. Which explains why it was my favorite, I love lime. Though it doesn’t explain why that layer was the least big in size. If you can’t find cherry, blue raspberry, or lime flavored vodkas, consider picking a more neutral flavor such as vanilla or whipped cream flavored vodka to allow the Jelly flavors to come out. 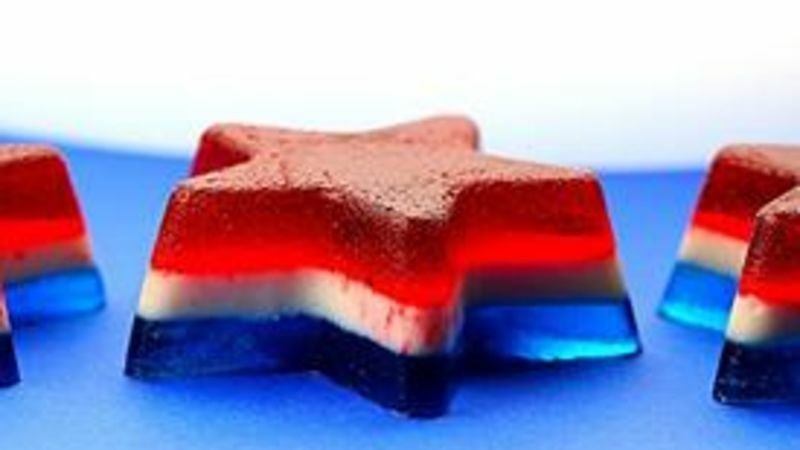 You can use any mold you like, but since Bomb Pops are red, white, and blue, stars seemed appropriate. Especially with the 4th of July coming up. I tried to use them in the actual Bomb Pop shape but that proved to quite tricky and not worth the headache. Stick with the stars. These are easy to make but are a little time consuming as each step takes a little while. 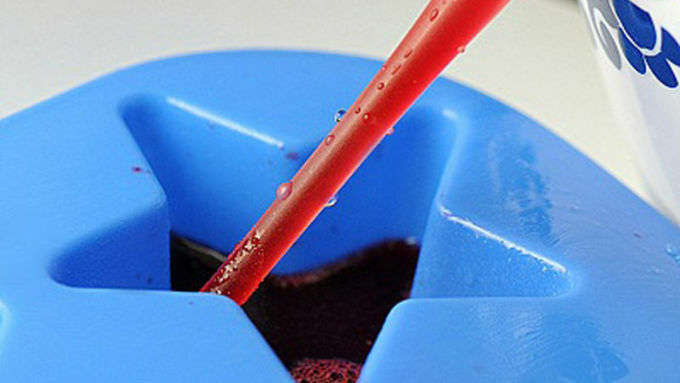 Using an eye dropper can make filling the molds easy. And once chilled you can easily add the remaining layers. 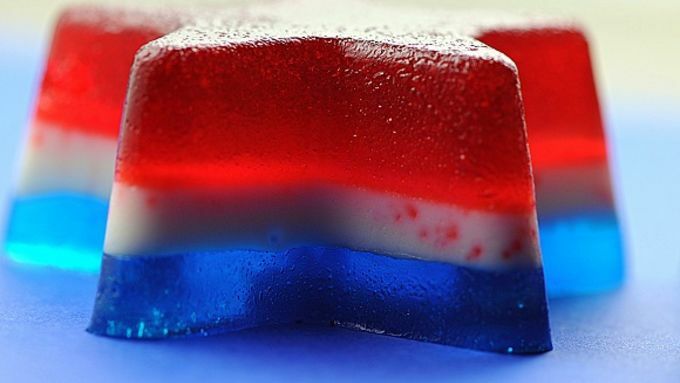 So, welcome Summer with some Bomb Pop Jelly Shots and make your Summer da bomb!